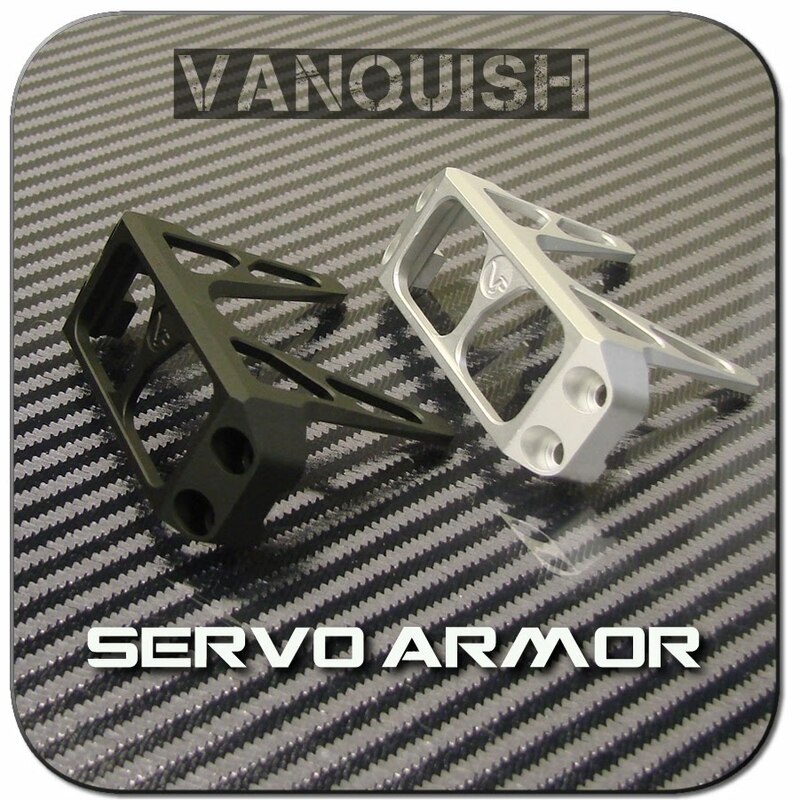 Vanquish Products has a Servo Guard for the Axial XR10. The servo guard helps protect servos during roll overs. The servo guard is available in four colors: Raw (part#VPS02400), Black (part#VPS02401), Red (part#VPS02402), and Blue (part#VPS02403).